Roland’s acclaimed SuperNATURAL Piano Sound Engine evolves with Acoustic Projection technology — an innovative, multi-dimensional sound system built into the new HP-507. Acoustic Projection is inspired by the flagship V-Piano Grand and its ability to reproduce the natural sound field of an acoustic piano. The marriage of Roland’s world-leading technologies in the HP-507 empowers pianists with a complete, immersive acoustic-piano experience. The HP-507 is compatible with Roland’s Piano Partner, a free iPad app that provides a fresh, interactive way to build your piano skills. Its three included applications—Flash Card, Content Browser, and DigiScore Lite—work together with the instrument’s onboard songs and features to inspire and help you learn more about music and playing the piano. You can connect your iPad and HP-507 wirelessly over your home network with the Roland WNA1100-RL Wireless USB Adapter (sold separately), or via a USB cable with Apple’s iPad Camera Connection Kit. Piano Partner is available on the Apple App Store. The unique sound space that is created when you play an acoustic piano — the resonance between strings and the resonance from the piano’s frame or body — is realized through a complex and yet harmonious combination of elements. The HP-507 creates this realistic sound space through innovative Acoustic Projection technology, which marries the multi-dimensional sound system found in the flagship V-Piano Grand with our SuperNATURAL Piano sound engine. Acoustic Projection delivers its magic though a multi-channel speaker system, with each speaker located properly to project each sound element in its natural position. The sound elements from each speaker are intelligently blended to reproduce the true sound field of an acoustic piano. The HP-507 incorporates Roland’s SuperNATURAL Piano technology for seamless velocity response, natural note decay, and authentic key-range behavior to reproduce perfect piano sound and expression. Tone color changes seamless in response to touch, accurately translating the player’s emotions. Tone decay is natural and organic, with the decaying sound not only decreasing in volume, but also gradually changing in color to a softer tone. Each note has its own character, which creates variations in tonal color and resonance of each note. The HP-507 comes with six specially designed speakers — from the resonant tones emanating from the top that engulf the player (Spatial speakers) to the direct and dynamic sounds that the player senses as the hammer hits the strings (Nearfield speakers), as well as the resonant and dynamic lows that are produced near the player’s feet (Cabinet speakers). In addition to the selection of onboard grand-piano sounds, the HP-507 features a newly added Early Piano category containing four fortepiano variations and two harpsichord variations. Masterpieces composed by maestros such as Mozart, Beethoven, and Chopin can be played with the original sounds from the period. The appreciation and understanding for the piece is heightened when using the instrument that was actually used by the composers. You can also play these early piano sounds with built-in historic temperaments which are ideal to play with other classical instruments. The HP-507 is equipped with Roland’s flagship PHA III (Progressive Hammer Action III) Ivory Feel keyboard with Escapement. With fast key-repetition and sensitivity, the keyboard faithfully translates into sound the subtle differences in tones from different playing styles and force at which they are played. The keys are finished with material that provides moisture-absorbing properties, resulting in a keyboard with the natural texture and tactile sensation of real ivory and ebony. The HP-507 is equipped with “Progressive Damper Action Pedals” that have light resistance at the beginning of the stroke and more resistance the instant they begin to take effect, just like real acoustic pianos. This makes it easy for the performer to know when the pedal begins take effect, and also allows half-pedal techniques for subtle control of aftertones and resonance. This pedal can accurately convey the techniques of the most demanding pianists. The built-in recorder lets you capture your performances as audio and/or MIDI data — a convenient feature for pianists as well as students who want to evaluate their playing. Connect an external digital music player to the input jacks, play a song file, and the HP-507 can transpose it in real time. You can even minimize the melody of an audio song using Center Cancel function. Play along and capture your performance as audio data. Recorded audio data can be saved onto USB Memory, and copied to an external computer for making audio CDs or for uploading to the Internet. *USB memory is required for audio recording. The simple and intuitive control panel affords quick and easy access to the HP-507’s numerous features and applications. LCD panel provides the ideal visual interface with the instrument. The HP-507 achieves low power consumption while still delivering high-impact performance. They also feature an Auto Off function, which, when activated, automatically switches the power off after a specified period of inactivity; inactivity time is selectable from 10 minutes, 30 minutes (default), 240 minutes, and off. 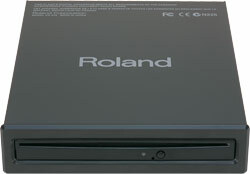 * This figure was measured according to the method that is based on Roland’s technical standard. USB CD Drive designed for Roland digital pianos, Music Atelier organs, and more. Light and comfortable headphones with 40mm drivers and rotating earpieces. Light and comfortable headphones with 45mm drivers and rotating earpieces. Comfortable and accurate headphones for superior monitoring. Offer the clarity, sonic accuracy, and comfort needed for mixing and silent practice. Attractive in-ear headphones with deeper bass and extended frequency performance. 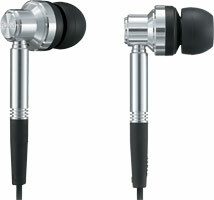 The RH-ED1 in-ear headphones offer comfortable, detailed monitoring during recording and playback. Comfortable, lightweight, and great sounding stereo headphones. Professional studio headphones with exceptional low frequency response. 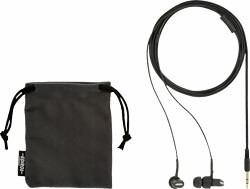 Lightweight, foldable headphones for a variety of applications.